Grade 11 – Students in grade 11 will be administered the ACT test at no cost to them. Grade 10 – Students in grade 10 will be taking the PreACT test at no cost to them. Grade 9 and Grade 12 – Students in grades 9 and 12 will stay at home and be expected to engage in a flexible learning day, using Schoology and their district-issued iPad to complete assigned work for that day. A quiet work environment at school will be provided for students who wish to be at school that day. Students receiving special education services will either participate in one of the tests, engage in the flexible learning day, or attend a regular schedule of center-based classes on April 2. Also, a quiet work environment for grade 9 and 12 students engaged in the flexible learning day will be available at school for students who wish to be at school that day. Case managers will work with students and parents to ensure appropriate arrangements and accommodations. 11th Grade ACT Exam is Provided to all 11th Grade Students and the Pre-ACT for 10th Grade Students. All 11th grade students will take the ACT test on Tuesday, April 2, from 7:30 a.m.- 1:00 p.m. Scores are college reportable and the test is offered at no cost to the student. There is no pre-registration required. Results will be accepted by all four-year colleges and universities in the United States and students will have the option of using their test score from this official test date for their post high school planning. All 10th grade students will be taking the Pre-ACT test which will provide them with a predicted ACT score and a practice opportunity to better prepare them for the ACT test. 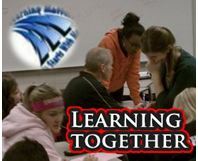 A Flexible Digital Learning Day is provided for students in grades 9 and 12. Grade 9 and Grade 12 – will stay at home and be expected to engage in a flexible learning day, using Schoology and their district-issued iPad to complete assigned work for that day. A quiet work environment at school will be provided for students who wish to be at school that day. Not having students in grades 9 and 12 at school on April 2 will help provide an optimal testing environment for all of our 10th and 11th grade students, limiting potential disruptions and making available the maximum number of staff to help proctor the tests. Eastview and all high schools in ISD 196 have six Target (Intervention/Enrichment) Days. 2018-2019 Target Days at EVHS are scheduled for 10/11, 12/6, 1/10, (2/21 – is canceled to reclaim lost instructional time because of snow days), 3/21 and 5/16. Read more, including frequently asked questions below. The below is a brief video summary of a Target Day. In a continued effort to focus learning and to support our student’s specific and individual learning needs, Eastview will provide additional targeted opportunities during our school day. On each of the six Target Days during this school year, we will slightly adjust our regular class schedule to offer focused engagement with students on teacher determined individual learning needs. Eastview’s Target Days provide our students with intervention and/or enrichments as determined through analysis of learning data by each of their classroom teachers and then prioritized with a focus on the four core curricular areas (English, Math, Science, Social Studies). Additional potential enrichment opportunities throughout the curriculum may also be available. All students will have two (2), one period intervention or enrichment sessions six times during the school year. Teachers will make individual data informed recommendations for Interventions (focused or general) or Enrichments based on your child’s current grades and/or progress toward mastery of classroom learnings. A FOCUSED INTERVENTION with your child’s individual classroom teacher (grades 9-12) will support a specific teacher identified student learning need. A GENERAL INTERVENTION with other classroom teachers, paraprofessionals or student volunteers (grades 9-12) will support your child’s general learning or course progression needs. An ENRICHMENT opportunity supervised by classroom teachers, counselors, parent or student volunteers (grades 9 and 10) to develop a deeper or broader learning for students who have demonstrated mastery or appropriate course progression. All 9th and 10th graders: will be assigned a specific intervention or enrichment opportunity during both morning sessions. 11th or 12th graders who ARE assigned a Focused or General Intervention: are required to attend school on Targeted Days during the session/s they are scheduled. 11th or 12th graders who are assigned Enrichment (because their appropriate course progression and/or mastery of learning): will be involved in a direct or indirect enrichment that supplements the learning process (e.g. teacher recommended self-directed study, academic study groups, silent sustained reading…). Enrichment activities meet off-campus and on-campus and students do not need to arrive at EVHS until 9:30am, which will begin their 1st period course and their regular school day (additional information will be provided). Presidents Day (No School 2/18/19) is a federal holiday which celebrates the life and legacy each of our chief executives. Our presidents have lead our nation by a powerful set of guiding principles, though interpreted through a political lens. Each of these leaders have given significantly for the achievement of greater common goals based on our foundation of the U.S. Constitution. Leadership is a process whereby an individual influences a group of individuals to achieve a common goal (Northouse, 2007, p3). At Eastview that common goal is educational equity and learning and we are driven by our guiding principles, which we affectionately refer to as our “Puzzle Pieces.” An Eastview Scholar is also a person who is deeply engaged in learning and whose purpose is to contribute to the betterment of society. Presidents Day is a powerful reminder that for the Eastview Learning Community to achieve their full potential, we must all be leaders of leaders and engage in the 51% rule. When we take 51% responsibility for our learning and for our community – we provide the deep personal engagement and support for ALL to achieve. We are all continually developing our legacy of leadership and as with our chief executives, only time will tell our true impact. In the meantime, at Eastview we will continue on our journey to extraordinary. Northouse, G. (2007). Leadership theory and Practice. (3rd ed.) Thousand Oak, London, New Delhe, Sage Publications, Inc.
Martin Luther King Day celebrates the life, leadership and achievements of Dr. Martin Luther King Jr., an influential American civil rights leader. 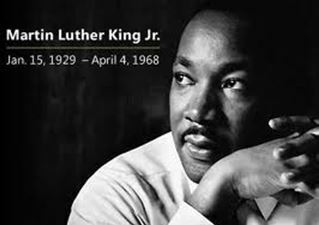 He is most well-known for his campaigns to end racial segregation and for racial equality in the United States. At the core of our Eastview culture and learning philosophy stands the principles of Educational Equity; ALL students reaching their FULL potential. At Eastview we embrace and celebrate our diversity and the strength which it provides for our students as we face our global future. On Monday, January 21st we celebrate a great man, whose legacy is deeply ingrained in our country and within our classrooms. Because of a power outage at White Bear High School during the second half of Eastview/Blaine State Tournament Football game, it will be postponed and restarted on Friday, November 9th at 3:00pm. The football team will be released at 11:10am. Students who are attending the game will be released at 1:30pm with parent permission. For students who rode the fan bus to White Bear Lake on Thursday evening, there will be a bus to transport those same students to the game on Friday (there will not be additional fan bus transportation). As of this time the game is scheduled at White Bear Lake High School. Depending on the power restoration process the game may be moved to another location. A decision will be finalized by 8:00am Friday, November 9th. All of this information is pending Minnesota State High School League confirmation. Updates will be provided by Matt Percival (Assistant Principal / Athletics & Curriculum) as they are available. BACK TO SCHOOL 2018-19 “QUICK & IMPORTANT” REMINDERS! START DATE – TIME: School starts Tuesday, September 4, 2018 with a homeroom at 7:30am to receive an updated Q1 course schedule. Homeroom Locator Link (updated Aug. 21, 2018). STUDENT SCHEDULE REVIEW: Grade 10-12 may review student schedules online & request corrections. PRESCRIPTION MEDICATION: Students who have prescription medication needs during the school day must have those prescriptions dispensed by the school nurse. School board policy does not allow students to possess prescription medication. Questions? Eastview High School is a place to learn. The world of fashion, individual expression, provocative or conservative, what is worn to the mall, the beach or a night club may all be variables of a philosophical debate. 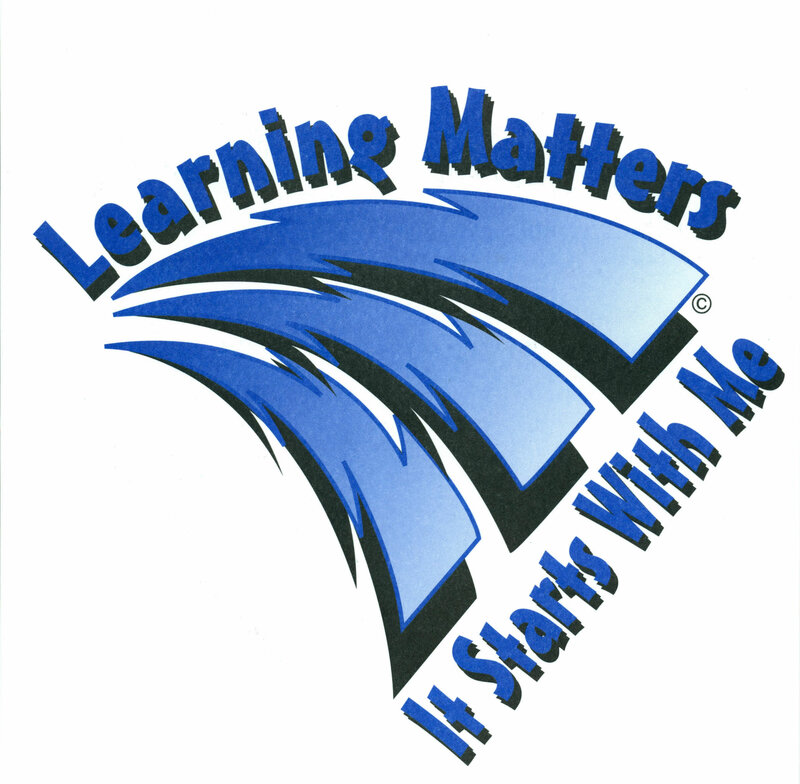 Our guiding principles, Learning Matters & Eastview is a place to learn, form the foundation of the Eastview Learning Community. ISD 196 and Eastview provide the following expectations to support learning and provide our learning community with a safe and respectful culture. Staff members and students are expected to dress appropriately and comfortably with a focus on “dressing for learning success.” Students who dress inappropriately or provocatively are distracting to the learning process. The purpose of these guidelines are to enhance the probability of learning success for students by establishing expectations of dress and grooming that are related to safety, educational goals and community/school standards. 1. Clothing that does not create a health or safety hazard. 2. Clothing that is appropriate for the activity. 3. Clothing that covers the midriff, chest and undergarments. 4. Clothing articles must not hide the identity of the student. 5. Clothing that does not create a learning distraction through the display of sexual, profane, drug/alcohol/tobacco/gang related content that is offensive or is deemed disrespectful. 6. Shoes that are worn at all times. Thank you for the continued support for your student/s as we complete the 1st Semester / Q2. This is a challenging time of the school year for all of our scholars. As we approach this transition your support for extra time to complete homework, preparation for assessments and culminating projects, while also demonstrating care is critical in the home stretch. As parents and educators, we have a profoundly positive influence when we relentlessly support and challenge our children. Though parenting and educating is complex – at the foundation is simplicity and innocence. We also continue to help our students understand the power and the GREAT RESPECT WE HAVE IN OUR INCLUSIVE – EASTVIEW FAMILY and how we can continue to reach out to others in our hallways and classrooms, in our families and communities, to create a chain reaction of caring and compassion. Please see the important upcoming dates, details and messages to support our Eastview Scholars in academic success and building quality relationships. Greet me: Wish me good morning. Smile: Let me see happiness in your eyes. Give me your attention: Sit and talk with me; even if only for a second. Imagine with me: Help me dream; don’t just tell me what I need to do. Let me have time: Time to let things sink in, time to think, time to reflect & process. Demand of me: Hold me accountable. Don’t let me get away with what you know I am capable of doing better. Notice me: Leave special messages. A quick note that says you notice something right. Let me ask the questions: Even if they are off topic; it will show that I am thinking about new perspectives, curious, and willing to learn more. Let me have the chance to show what I am wondering about, not just what I know. Engage me: I came to you in love with learning, Keep me excited, Keep me wanting more. Trust me: Believe that I can do it. Allow me the chance. PLEASE GIVE IF YOU CAN! 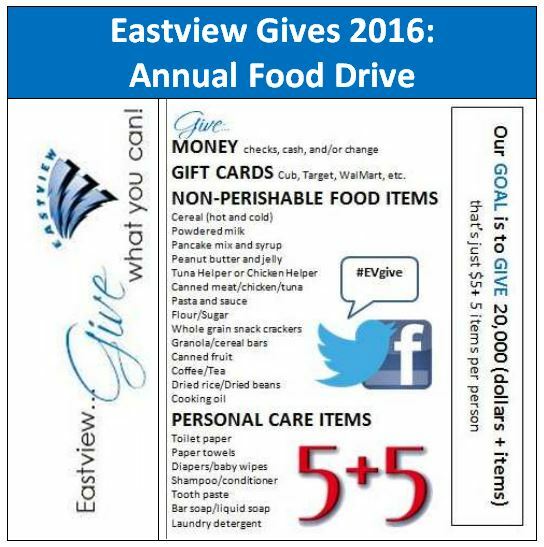 Thank you for supporting our neighbors through the 2016 Eastview Food Drive! community. 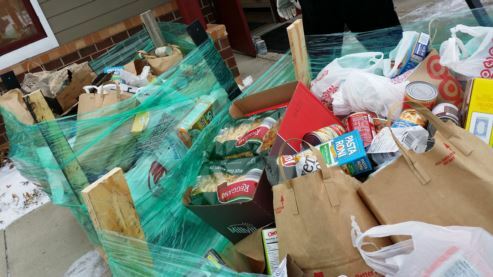 For the past 10 years our holiday giving has contributed in excess of $100,000 holiday dollars to the food shelves which serve the families of the Eastview Learning Community and immediate surrounding area. Our Eastview Scholars, caring teachers and supportive parents are deeply engaged as we facilitate the collection of items. Donations are accepted through our classrooms and at this weeks athletic events. Together we will assist in making a difference for a great number of families in the Eastview Community through the holidays. Please select the below 90 second video to see the volume of support provided by you during our previous 2015 Food Drive! Thank you parents, community members and teachers for supporting the servant leadership of our Eastview Scholars as we strive to support our 2016 efforts. Enhance learning achievement through the formative use of the Infinite Campus Mobile Portal App for Android tablets, iPads, and smartphones! The app is free to Eastview students, parents & guardians. For the past several years, the Infinite Campus Mobile Portal App has had a tremendous positive impact on the academic success of our scholars. 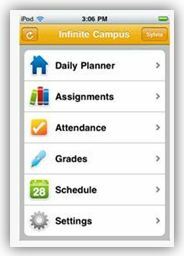 Eastview parents/guardians and students have simple 24/7 finger tip access to current student information, schedules, assignments, and grades through this convenient app, rather than needing to log-in through the web-based portal or wait for paper documents to be provided. To begin, just download the appropriate app for your device, which is available through the App Store and Google Play (linked below). When you launch the app, it will ask for a District ID, which is YVGMVX. You will then be able to sign in with your Infinite Campus portal username and password. Be sure to turn on notifications so you are notified when new assignments, grades, or attendance events are created. Just follow the instructions below to load, launch and set up the app on your device. Click Here to Read More… or view the imbedded video below! In a human organization, success has multiple measures. 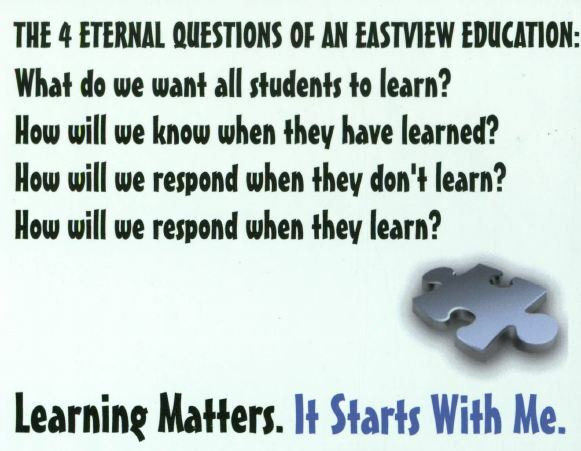 At Eastview High School, we strongly believe in accountability; for our educators, our students and as an organization. Action research plays a critical role in the decisions that we make, the data which we base our decisions and the processes and programs we perpetuate and initiate based on data. As we measure scholarly success, we must first define the variables measured. Broad based qualitative measures can be used as well as finite quantitative measures to offer direction for our energy and resources, such as the Minnesota Department of Education’s measurement using MMR Scores. US News & World Report, Newsweek and the Washington Post (2017) all recognize college readiness and schools who perform above what is statistically expected. Eastview has been recognized consistently since the original ranking process was established in 2000. Most recently (April, 2017), US News & World Report and the Washington Post recognized Eastview as one of the top ten schools in Minnesota as well as in the top 3% nationally. Students performing better than statistically expected for the average student in the state. School’s least-advantaged students (black, Hispanic, and low-income) were performing better than average for similar students in the state. Schools produced the best college-level achievement for the highest percentages of their students. The publicity while appreciated, is simply one measure of success. Students, faculty, staff, parents (our learning community) should be proud that their cooperative efforts have paid quality dividends in creating a culture of scholars. Again, in a human organization success is multi-dimensional. In the Eastview Strategic Plan and “On Our Journey to Extraordinary”, college readiness is important, though is a single aspect of a larger plan to assure continuous improvement and success in our mission of educational equity; ALL students reaching their FULL potential – raising achievement and closing the achievement gap. 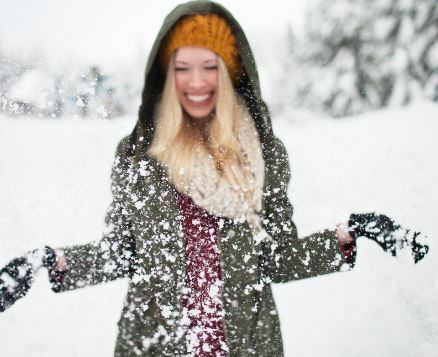 HAPPY, HEALTHY AND IN SCHOOL… Cold and flu season is here. Seasonal flu activity usually peaks in January or February. At Eastview we kick-up our prevention by additional cleaning of keyboards, desks and door handles, encouraging frequent hand washing and reminding students of proper “coughing and sneezing capture techniques.” Yes, as silly and time consuming as that sounds, the below research and recommendations by the Center of Disease Control demonstrates that these simple tasks make a differe nce. At Eastview we would be very excited to accept a donation of Tissues or Wipes. STUDENTS CAN BRING TISSUES AND/OR WIPES TO THEIR 1ST PERIOD TEACHERS. We are making a special effort to kick-off Quarter 3 (Monday, Feb. 1), with additional tissue and wipe supplies to support the health of all of our students! THE SITUATION: The annual flu season hit about a month early this year, and illness is now widespread in 47 states. Many cases are caused by a flu strain that tends to make people sicker. But so far experts say it’s too early to know whether this will end up being a bad season. Maybe not: There are signs the flu may have already peaked in a few states, though it’s too early to tell for sure, health officials say. As winter break approaches (December 21 – January 5th) we would like to celebrate the opportunity we have to engage with your family, while focusing on the learning, growth and achievement of all of our scholars. This past week, through your help and the hard work of our students, we not only grew as servant leaders, we also provided over 16,000 holiday dollars (food weight + funds raised + family supplies) for those in need through our 360 Community Connection. As we return from the winter break on Monday, January 6th – we begin to prepare for registration for the 2014-2015 school year as well as supporting our 12th students in their post-secondary plans (college, training, service or the world of work) as they approach graduation. More information will be provided on the details after break. At Eastview, on our journey to extraordinary, we continue to celebrate what we want to see more of. The new year signifies the first blank page in a 365 page book and we intend to write an extraordinary one! Wishing the Eastview Community Family health, happiness and success in 2014! 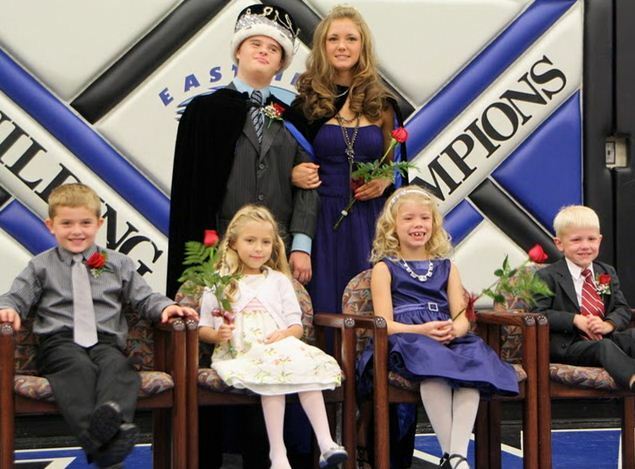 Homecoming is an annual tradition around the country and one we fully embrace at Eastview High School. It is a week filled with activities, excitement, spirit and pride. Click HERE to view the events of the week and dance details. It is with great Homecoming pride that we introduce a new tradition here at Eastview this fall. On Monday, we will introduce an expanded Homecoming Royalty Court with representatives from each grade. These fifty six students were chosen by their peers in an online nomination process. These student-selected representatives completed a profile which included questions about their involvement at EVHS and the community, how they model our puzzle piece values in their own lives and how they see themselves as EV scholars. Based on their responses, twenty-two students (out of the original fifty-six) were elevated to serve on the official 2013 Homecoming Royalty Court. Throughout the week, our Homecoming Royalty Court will lead our student body and greater Eastview Community in our first-annual Eastview Kindness Campaign. Students will be encouraged to perform Random Acts of Kindness throughout their daily lives, sharing pictures and descriptions of their positivity on Twitter and the Kindness Board in the EHVS Commons. The point is not to seek credit for these acts, but to inspire others to join in the revolution. They will categorize their acts using hashtags (#EVHS9, #EVHS10, #EVHS11, #EVHS12, #EVHSAlumni, #EVHSFaculty, #EVHSCommunity) in a friendly competition between grades. 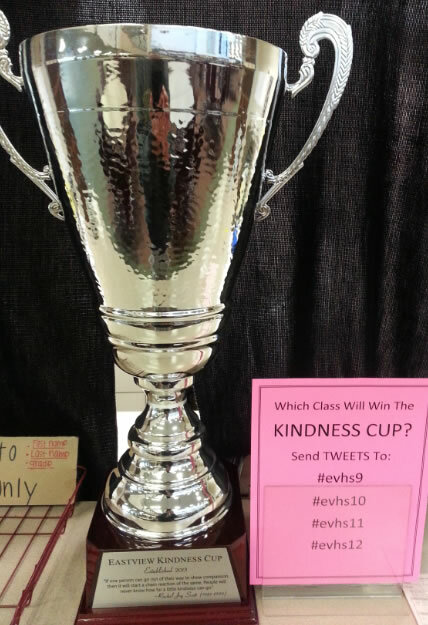 The class achieving the highest Kindness rating (based on volume of acts completed) will be the recipient of the Eastview Kindness Cup (a three-foot high trophy that will be awarded at the Homecoming Pepfest on Thursday, October 10th). The Kindness Cup will be a travelling trophy that will be awarded each year during Homecoming week. In addition, we are seeking sponsors wishing to support Eastview’s Kindness Campaign. Our goal is to raise $2000 for the Eastview Community Foundation, a foundation started in 2000 to support Academics, Arts and Athletics at the ten schools in the Eastview community. offer support to students/families in need, the EVCF has a significant impact on our school community. We want to pay it forward to ensure their work continues to have an impact for years to come. We are asking local businesses to participate in our Kindness Campaign by donating $1 per Random Act (up to a designated amount, determined by the organization), or by simply making a set donation. If you know of any businesses that may like to participate, please let me know and I will share this info with them. 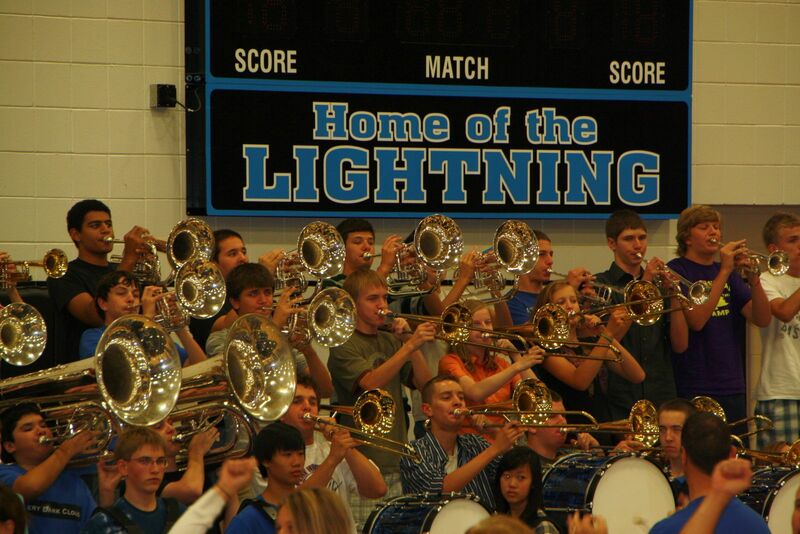 At Eastview, deep engagement and involvement in learning, the arts, activities and athletics is a proud tradition. To support the pride of involvement, we have begun a new program to allow ALL students to proudly display their success and engagement. Eastview Alumni and Families, your support is appreciated and needed. Remove and inventory patches (for other students to use). Remove the embroidered name on the front of the jacket (if applicable). Please consider donating your old Eastview letter jacket. Your donation can help promote the EASTVIEW PRIDE that we are all so proud of. Jackets can be dropped off in the EVHS Main Office. Incoming 9th grade students must complete their 2013-2014 Online Registration before Friday, February 1st. 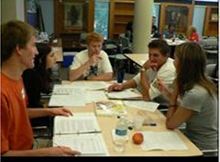 You and your student will work together utilizing the registration packet provided to students to make appropriate course selections. Please sign the form indicating that you have worked with your student to make appropriate course selections. Your student will then return the green registration card to their middle school flex-time teacher on February 1st. We will use this information to determine how many sections of courses we will offer, how teachers are assigned, their teaching loads, and other decisions that help our school to be one of the very best. Therefore, once these decisions are made, it will be very difficult for you to change your course selections. All students will register ON-LINE (Click HERE) and must complete the process by February 1st. Complete ON-LINE instructions were provided to students and are also posted on our website. Many students will be interested in classes within our EVHS honors programming. If you are considering honors courses please review the information on our website (Click HERE). There is a sample assignment posted for you to review to help you determine if you are well-suited for honors programming at Eastview. You are encouraged to print a course request summary from our website to compare with a confirmation letter you will receive in May. After that point it is very difficult to make adjustments. These important decisions are a major influence in determining how many sections of courses we will offer, how teachers are assigned, their teaching loads, and other decisions that help our school to be one of the very best. Therefore, once these decisions are made, it will be very difficult for you to change your course selections. If your student has a question, please have them consult their teacher or counselor. Additionally, you may visit our website or email me directly at bruce.miller@district196.org . 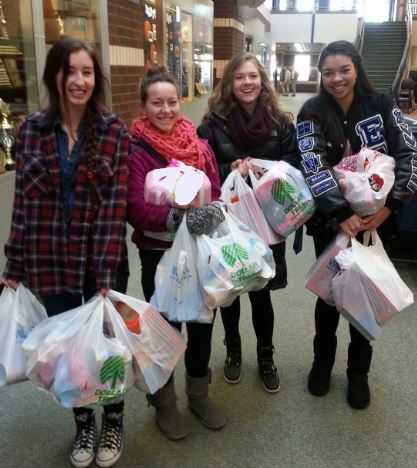 EASTVIEW CARES… Please help us help our neighbors if you can! In this season of giving, we are working with our Eastview Scholars to support our neighbors and to teach and lea rn the power of giving and serving our community. For the past 10 years our holiday giving has contributed approximately $100,000 holiday dollars to community food shelves. Please select the below video to listen to Eastview Scholars Joey Hinrichs and Michelle Watkins explain what we are doing and how you and your family may help. Giving continues through our 1st period classrooms through Tuesday, December 18, 2012. See below for the “Most Needed Items.” Please support your student by sending them to school with a contribution. Your time, efforts and contributions are appreciated. Will our children be prepared for the challenge of leading the nation? The following has been a common generational debate through the annals of time: as young adults – will our children be prepared for the challenge of leading the nation? As we are entangled in a year of presidential decision, this debate is intensified. Two great historical thinkers starkly disagree. The Eastview Debate and Speech program fosters a deep engagement of knowledge as well as mature, articulate and worldly analysis. Recently a sampling of this nationally successful program partnered with our regional media and clearly demonstrated their leadership abilities and influence (select the Grading the Debate icon to hear more). Our students are also influenced by strong assertive individuals who engage in non-traditional educational paths that pave the way to support our economy, spur job creation and support our technology driven economy. Eastview students Gabriella Knight and Sifora Tek-Lab are seen below on KARE 11 News promoting the Thomson Reuters and Advanced IT MN 2012 Aspirations Award. This awards celebrates involvement and achievement in the area of technology. See the below KARE 11 feature video. The 2150 students of which Eastview educators have the pleasure to connect with each day: artists, performers and athletes, your daughters and sons, nieces and nephews, grandsons and granddaughters provide us with great confidence to align our support with Joseph Pulitzer and his premise that “… the Republic is in good hands.” Be it the deep understanding of national and world events, personal commitment to solving complex technological problems, overwhelming work ethic or compassionately serving those less fortunate – our scholars (your children) will make a powerful and positive impact on our future. YES, I BELIEVE as Joseph Pulitzer and Eric Greenberg, “The future of the Republic is in good hands of the next generations. 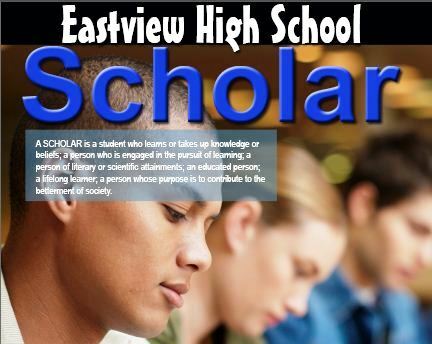 And Eastview Scholars, with the support of the Eastview Learning Community – Will Lead the Way! Our current teens are a special generation, potentially the greatest generation ever. They are not pessimistic or vengeful. Rather, they are sober in their view of the world. They believe in technology and know they can innovate themselves out of the mess they are inheriting. They believe in entrepreneurship and collective action, and that each person can make a difference. They are about plenitude, and they reject cruelty. They are spiritual, responsible, tolerant, and in many ways more mature than their predecessor generations. They reject punditry and bickering, because they are post-partisan, post-ideological, and post-political. Most important, they believe in the greater good and are ready to dedicate themselves to achieving it. Celebrating Homecoming, Celebrating Those Who Served and Those Who Currently Serve our Country. Wishing for all a safe and prosperous homecoming! On Tuesday, September 25th watch Eastview Lightning Boy’s Soccer take on the North St. Paul Polars in a homecoming community celebration. Eastview’s Principal, Dr. Randall Peterson will join the U.S. Army Golden Knights to kick-off the festivities while skydiving, to deliver an American Flag which flew over our troops in Afghanistan as well as the game ball. The flag that flew over our troops in Afghanistan was donated by EVHS parents Brent and Rhonda Bidjou (teacher at Oak Ridge Elementary) and current Navy Sea Cadet and EVHS student Dillon Bidjou. The flag will continue to be proudly displayed at Eastview. What’s it like to fly with the U.S. Army Golden Knights? Take a brief video adventure with the best of the best and be Army Strong! Click below.. 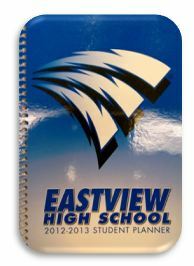 The Eastview Academic Planner: A habit to enhance student learning & adult success! 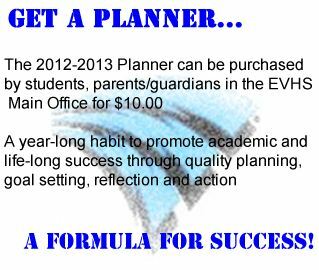 The “Planner” is an academic tradition at Eastview which is imbedded in our 9th Grade Teams. Rather than simply a notebook to jot down pages to be read or assignments to complete, the planner is a tool to promote deep academic engagement. This analog learning support tool is used to create quality academic habits by providing visual opportunities for students, teachers, counselors and parents to easily review daily target learnings, develop a plan to complete homework that supports learning, as well as having school resources neatly included in a single publication. The “Planner” in document form, provides daily opportunities to collaboratively engage in visibly learning the power of thoughtful planning and goal setting, with the support and engagement of our students most valued mentors. Yes, a digital tool (phone, laptop, tablet, PDA) is a quality 21st century option which many of us use thoroughly to plan and organize our lives; and we encourage all students to develop such digital competencies. At Eastview we will have a fully wireless infrastructure that allows ALL students to access our network and the Internet from their personal laptop, tablet, phone or iPad. We are working with technology vendors to merge their planning and assignment management App Tools with our school content (knowledge management) to create a more effective digital option – with availability next school year.